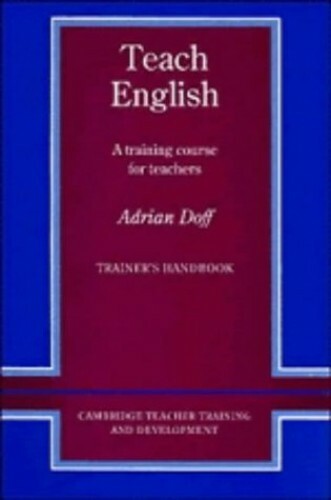 Teach English is a complete training course for teachers of English as a foreign language, especially designed for teachers whose first language is not English. Teach English is a teacher training course that develops practical skills in the teaching of English as a second language. It can be used in a variety of situations: in-service courses for teachers working at the secondary school level or in language institutes, in pre-service training of secondary school teachers, and as part of a refresher course in practical methodology for more experienced teachers. It is especially designed to meet the needs of teachers whose first language is not English, who teach large classes in rigid classrooms with few resources, who follow a set of syllabus and textbook, who have little control over course content or material.